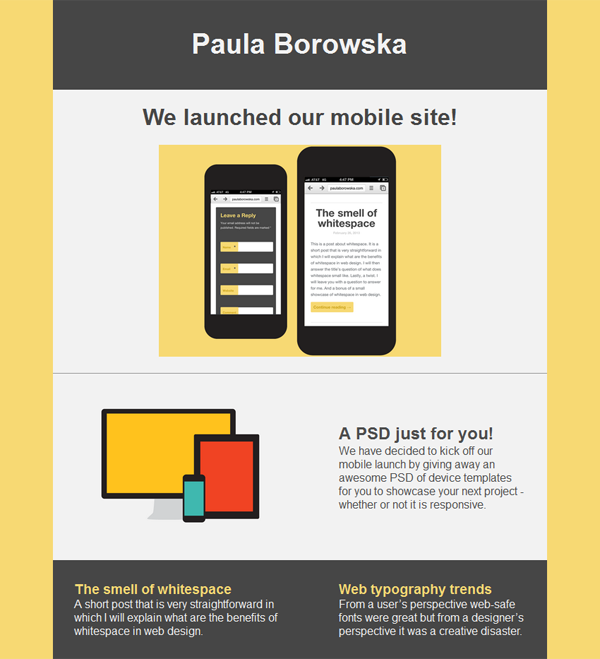 As both, designers and developers, one day your client will ask you for an email template for their newsletter of sorts. I must say that emails are not that exciting simply because there is a big gap in support for HTML and CSS. You’d figure that in today’s age it wouldn’t be the case as we are pushing forwards with HTML5 and CSS3. However, I am sad to say that when it comes to rendering emails that is by far not the case.